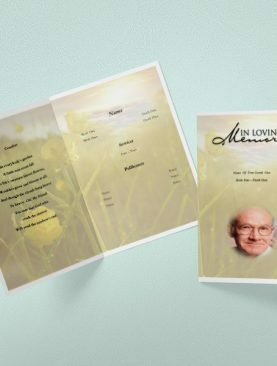 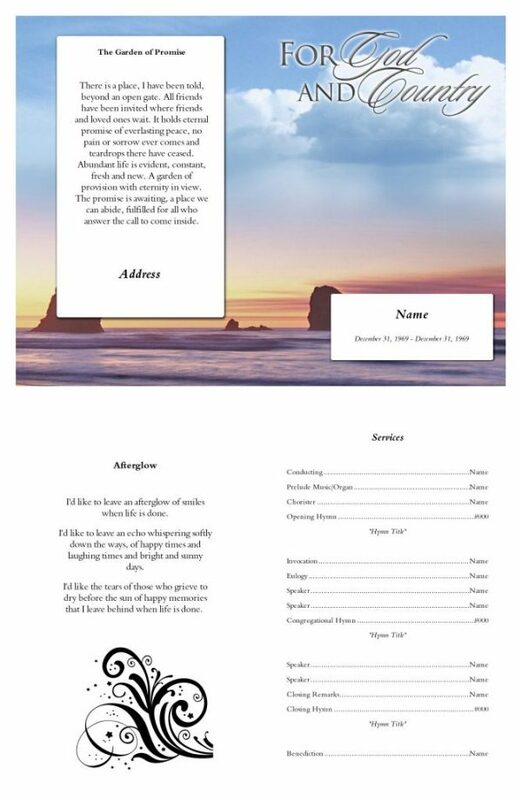 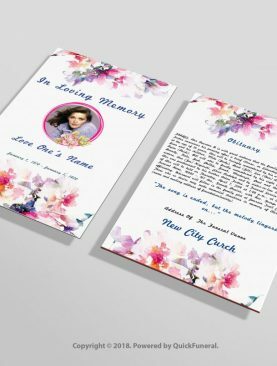 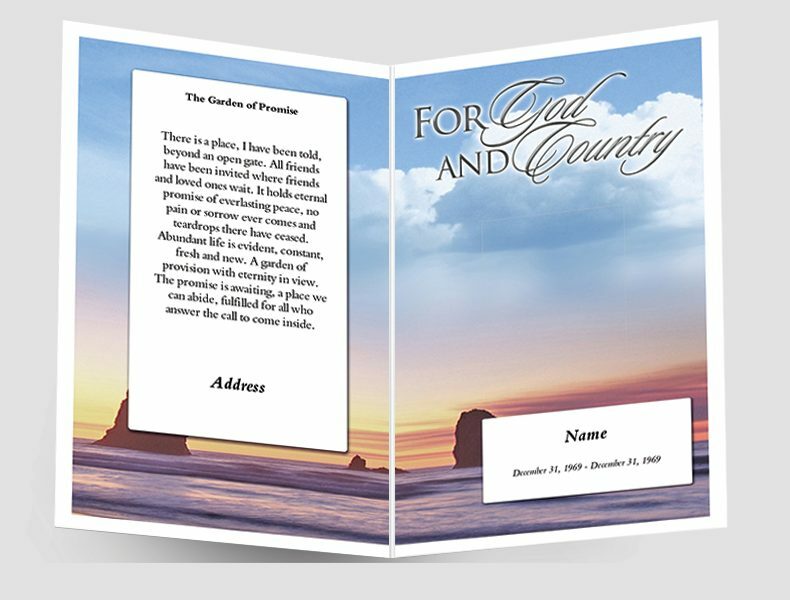 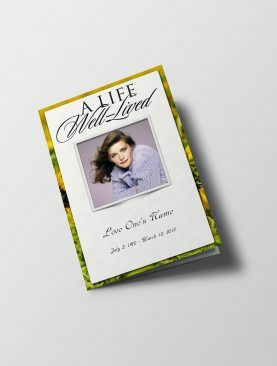 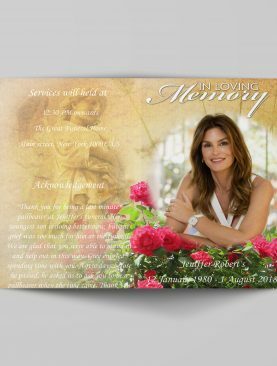 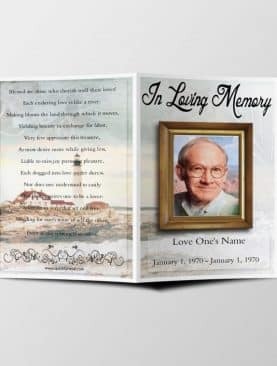 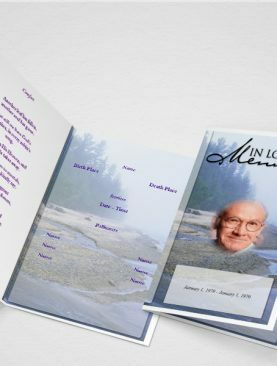 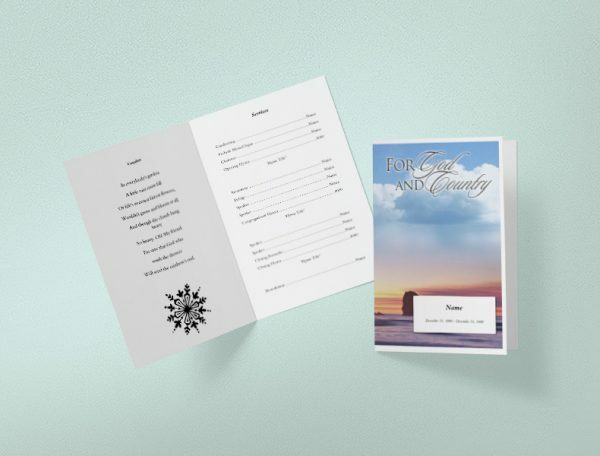 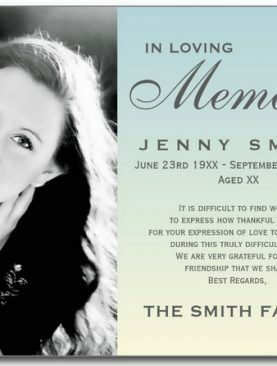 The given Aphorism Funeral Program Template has an engaging appearance conveying an estimation of 8.5″ x 5.5″. 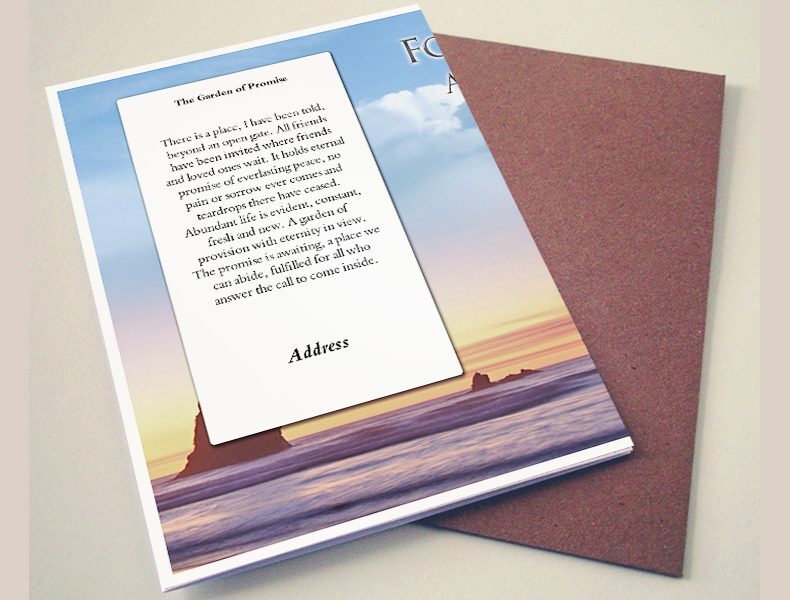 The blue shade of the sky has made it more alluring. 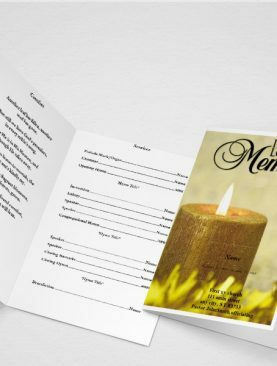 You can utilize this format in a burial service program of your died one’s that is giving a mitigating touch.